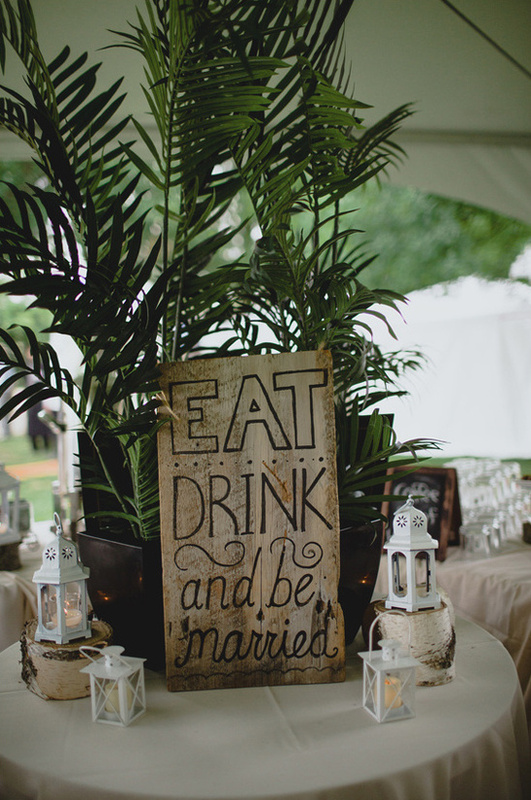 We connect with people over food so why not make your wedding dinner the most memorable part of your big day? 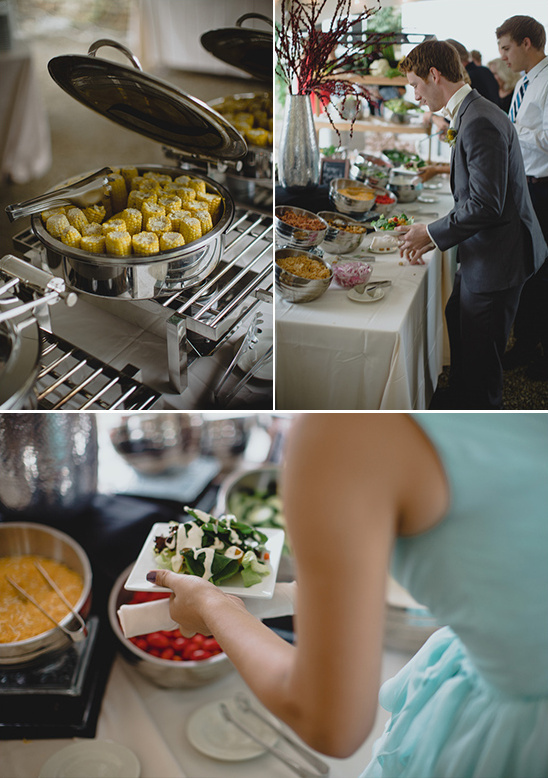 Jacque and Kevin's Gorgeous wedding at Mayowood Stone Barn was a spectacular example of just how to do that with a wedding buffet that will knock your socks right off! 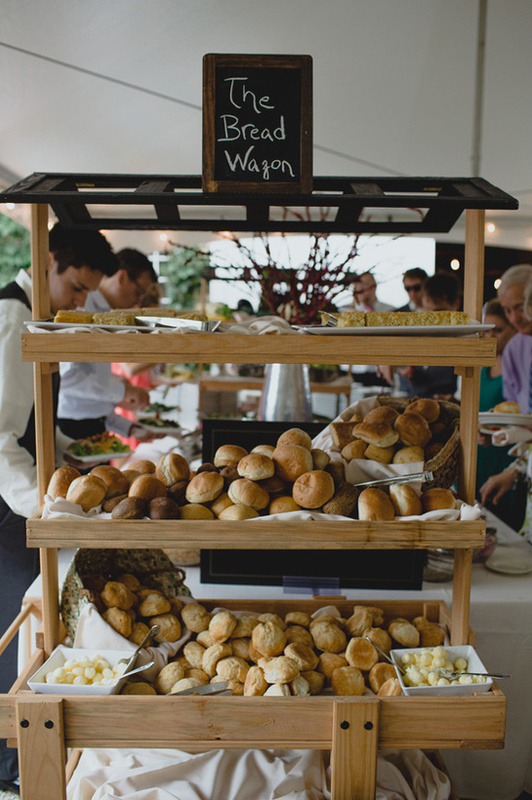 Feeling skeptical, well scroll down and find out why we think wedding buffets truly rock. 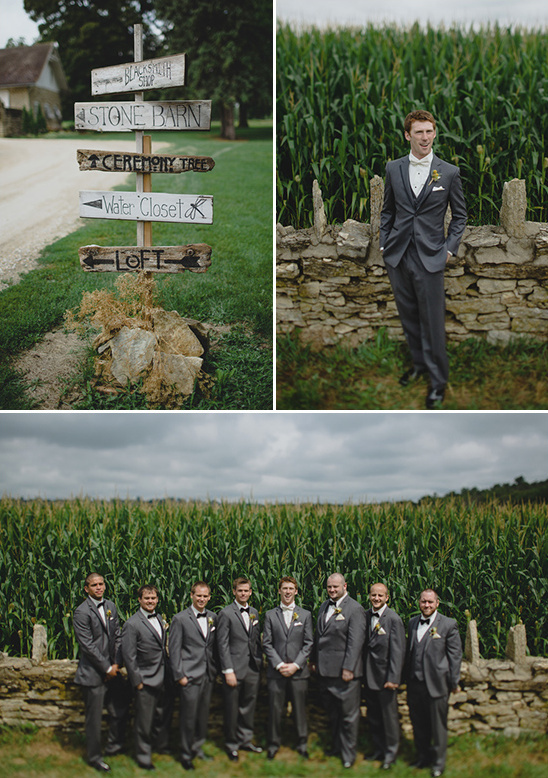 And don't forget to see even more fabulous details captured by Ray + Kelly Photography in the full gallery here. 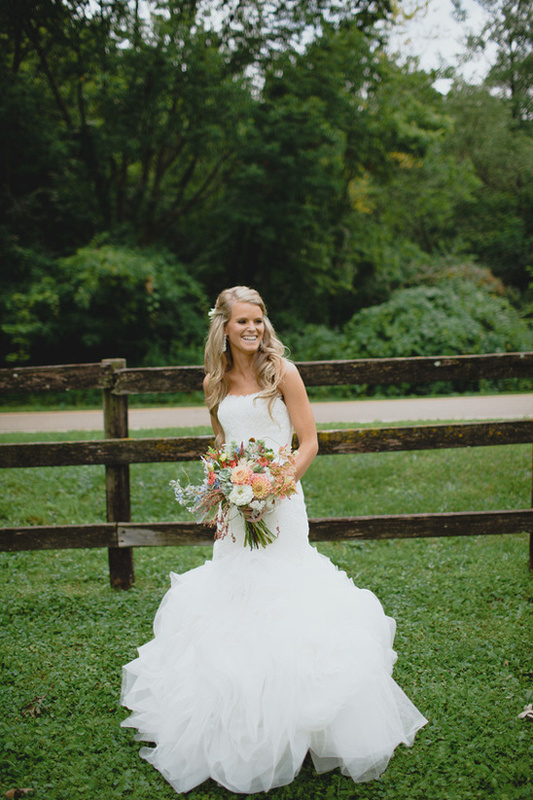 From the Bride:My wedding dress was not at all what I had imagined I would buy. But, after putting it on and the dancing that ensued, I knew that I had found it. 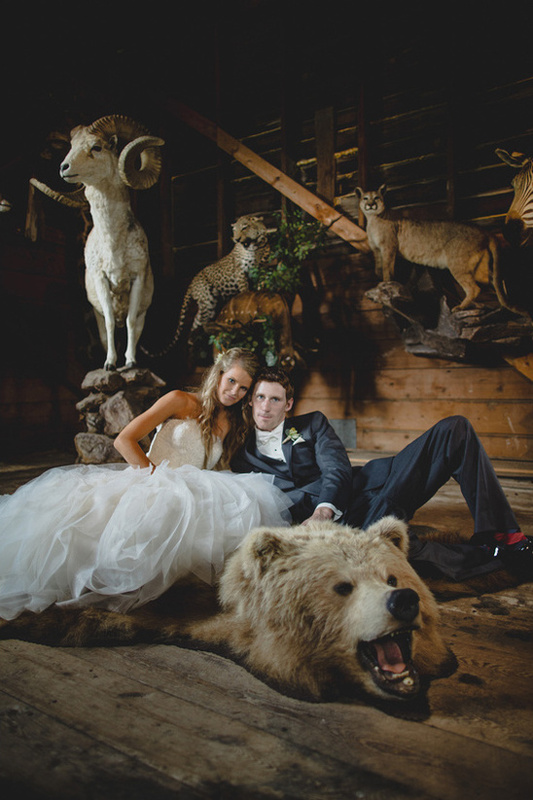 I liked that it was not the dress you would expect for a barn wedding, but that it also completely fit the juxtaposition of our "classy" and "rustic" day. 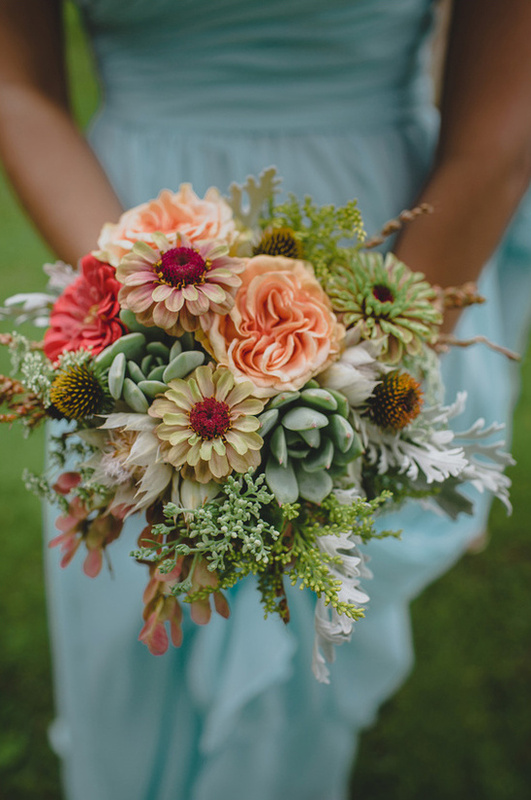 The ceremony was originally going to take place under the amazingly large oak tree on the property as I had always dreamt of an outdoor wedding. Because it was raining in the morning, we made the last-minute decision to move the ceremony to the top floor of the barn. 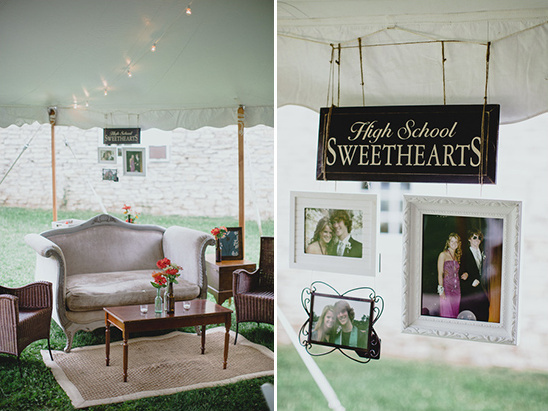 Jill completely revamped the decorations, including bringing a light market structure inside the barn, and hanging flowers in the large window of the barn that were meant to sway on the branches of the tree. 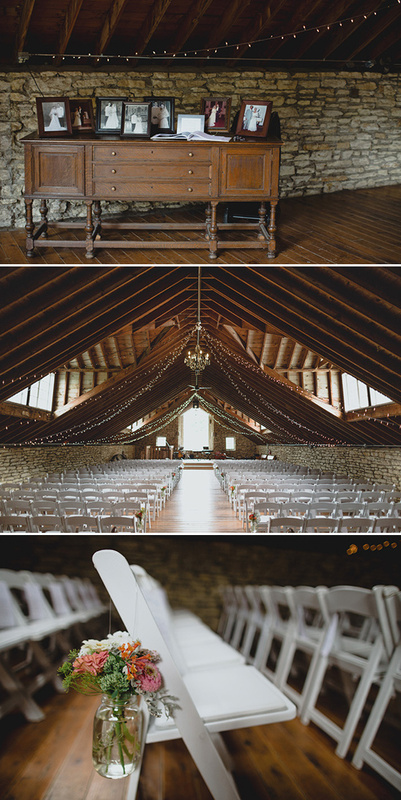 I did not see the decorated barn until I was walking down the aisle, and I was absolutely blown away by the final result. The word buffet sort of congers up images of Vegas or your local China Palace with lukewarm food under the red glow of heat lamps. Not great, but it doesn't have to be that way. 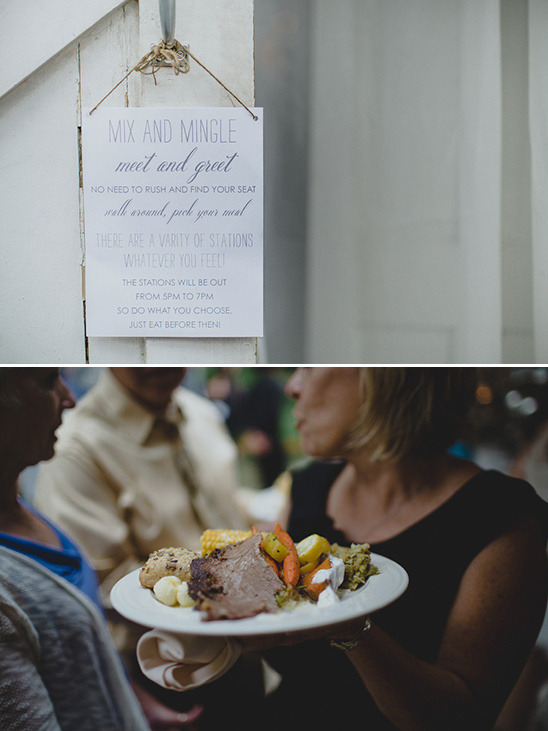 In fact after seeing Jacque and Kevin's classy wedding buffet we guarantee you will be clamoring to book one yourself! 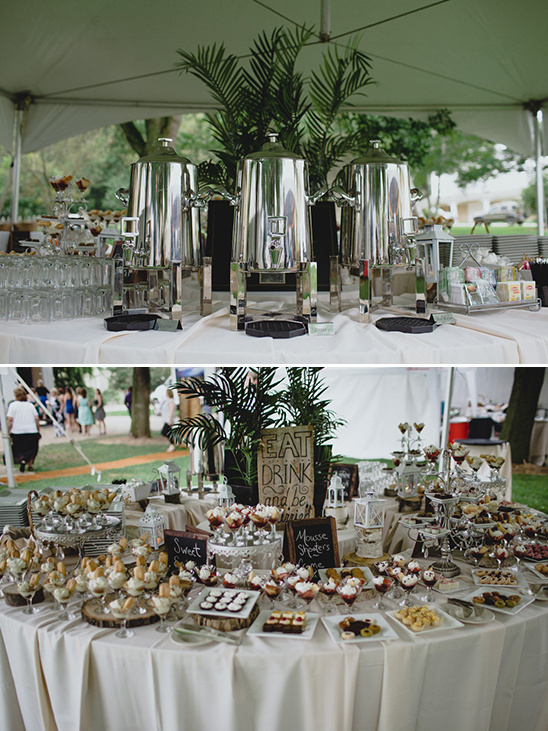 But just in case you are still on the fence here are three reasons why we think wedding buffets rock! 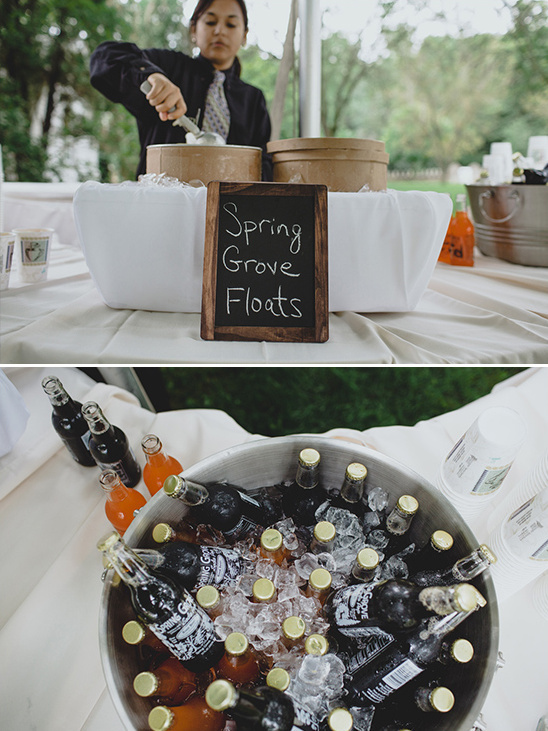 You can serve traditional favorites, comfort foods, brunch foods, or all three! 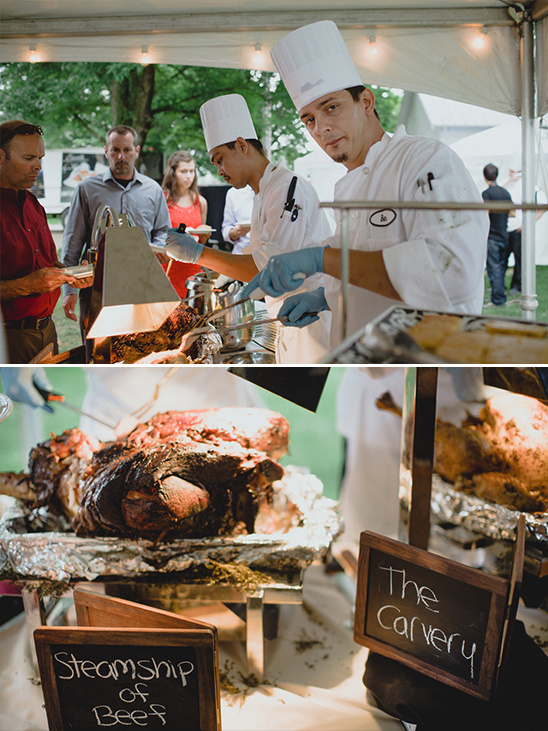 A buffets allow your guest the opportunity to put chicken and waffles, macaroni and cheese, and brisket on the same plate without a single raised eyebrow. Plus, they can eat as much or as little as they want; But lets be honest, if those are the options, they are definitely going back for seconds. 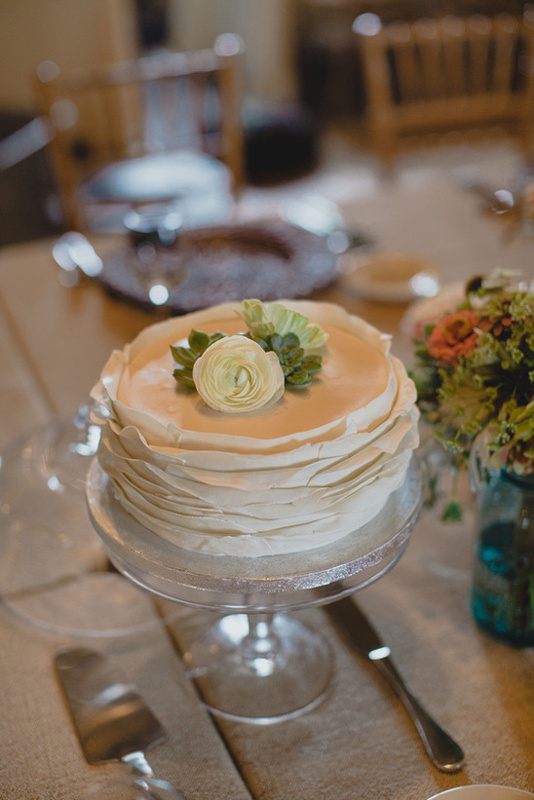 From the Bride:Chef Pasquale at Kahler created the vision of a station-style dinner where guests were free to eat whenever and wherever they would like on the property during a two-hour dinner. 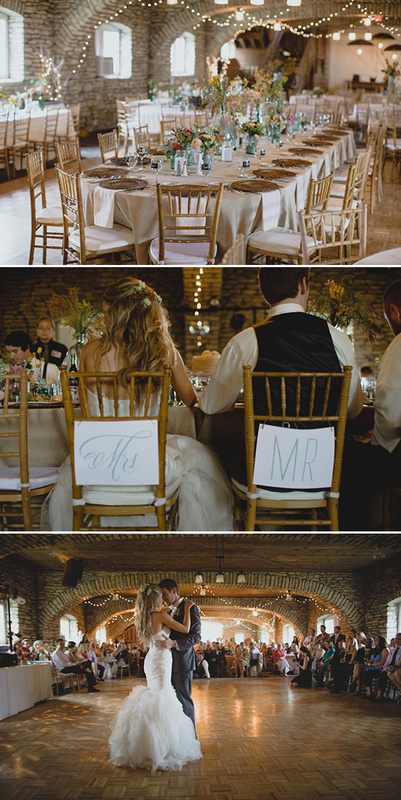 We told guests: "eat in the barn or outside. Grab a table or grab a blanket. Eat when you are hungry, and catch up with friends and family that you do not get to see often. "Better on your budget! 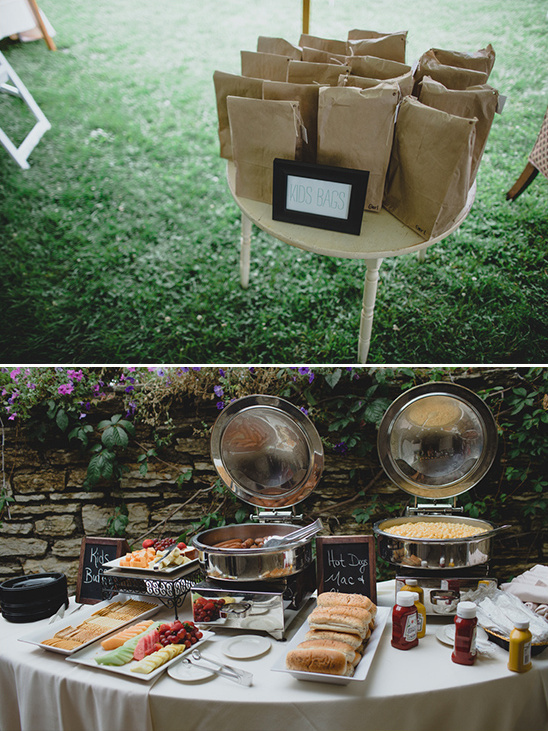 Saving money is always great and a buffet is the perfect way to do just that. Rather then hiring a full wait staff for a formal dinner all you'll need is a few to man the stations. So the question then becomes, what will you be spending all of your savings on? 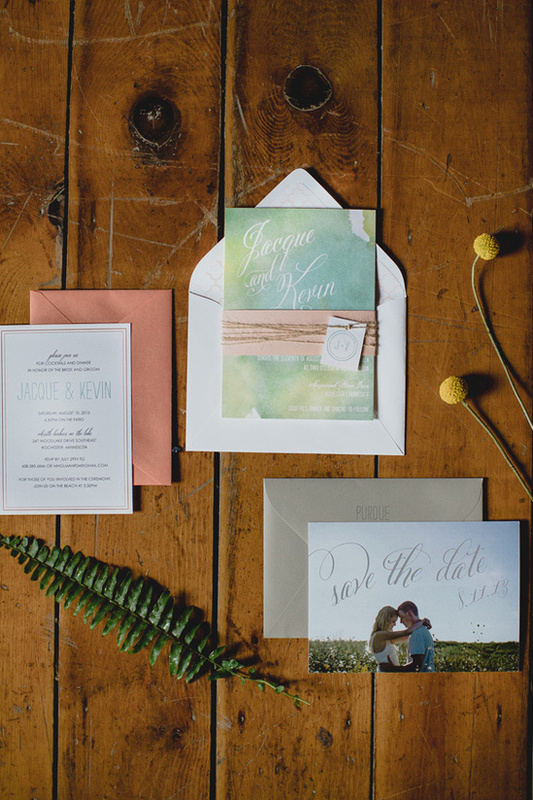 More exciting elements on your big day? 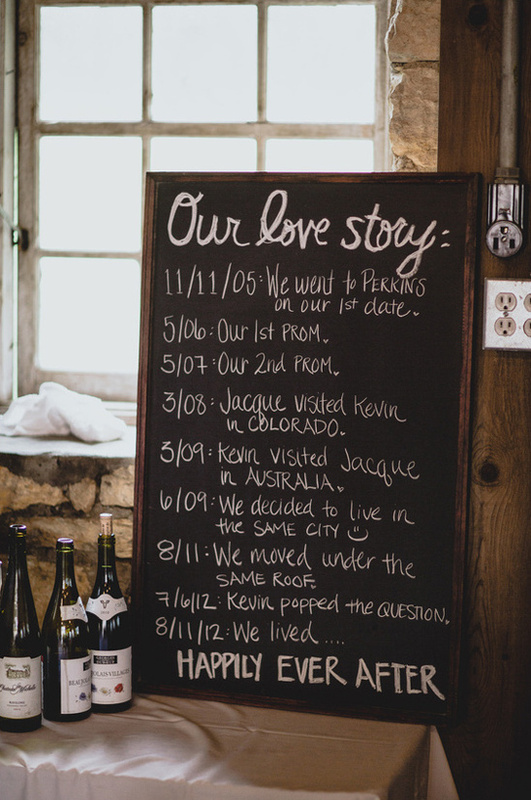 Fun post wedding plans? Or maybe invest in your future? 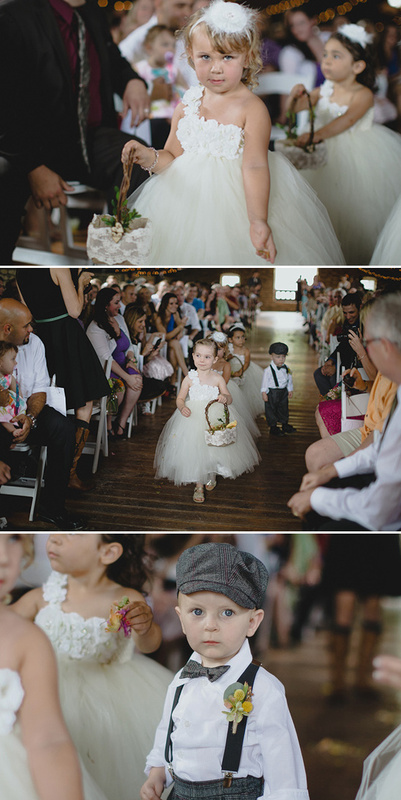 A little less Fancy-Schmancy a whole lot more Dancy-Dancy! Think of all the time you are saving by letting your guest pick and choose instead of waiting for everyone to be served. Everyone gets to go at their own pace and talk to people they normally don't get a chance to see, something a strict seating chart limits. 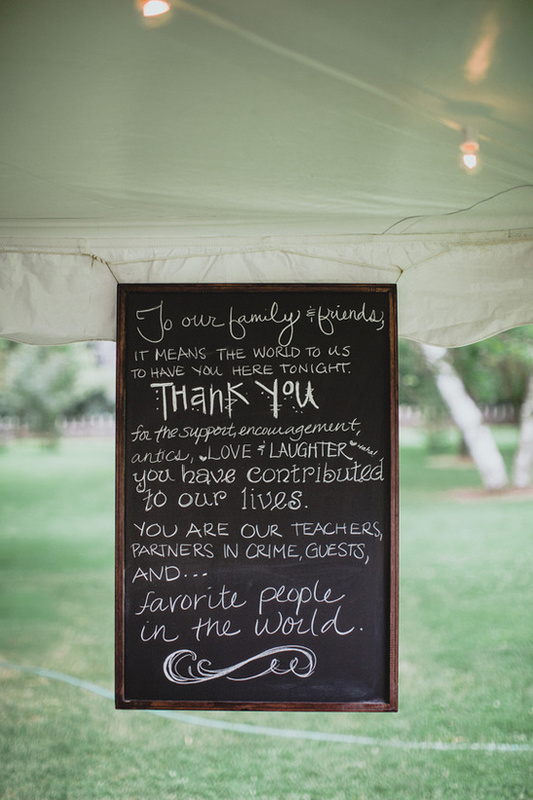 A relaxed environment will also encourage more people to tear up the dance floor where some of the most spontaneous and fun wedding memories are truly made! 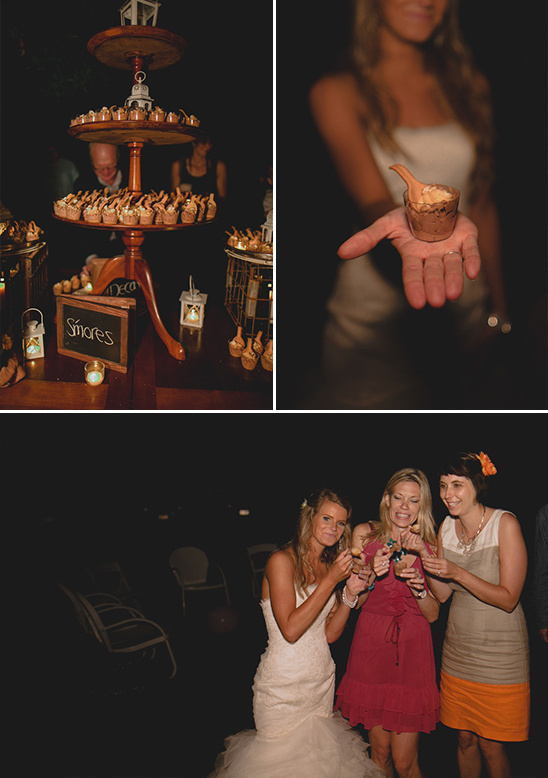 From the Bride:Because guests ate dinner across the entire property and there was not room for us all to sit in the barn, we needed to be creative in how we planned certain aspects of the day such as toasts. 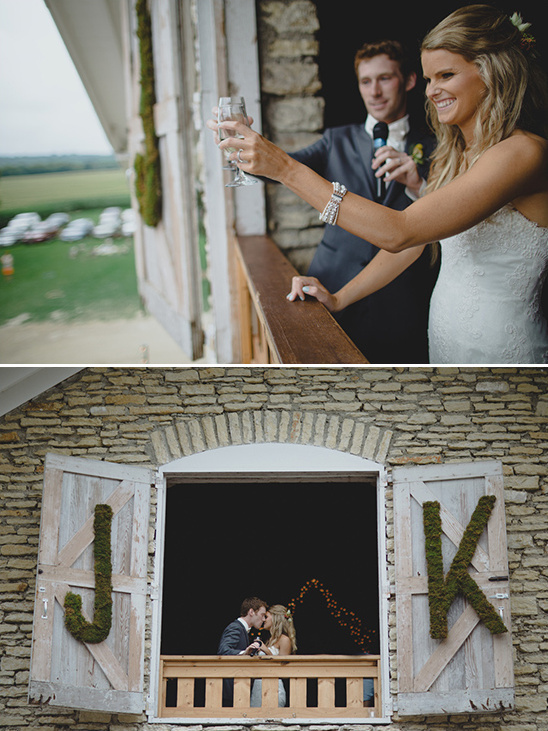 My mom had the idea of giving toasts in the large windows on the top floor of the barn, with our guests below us in front of the barn. 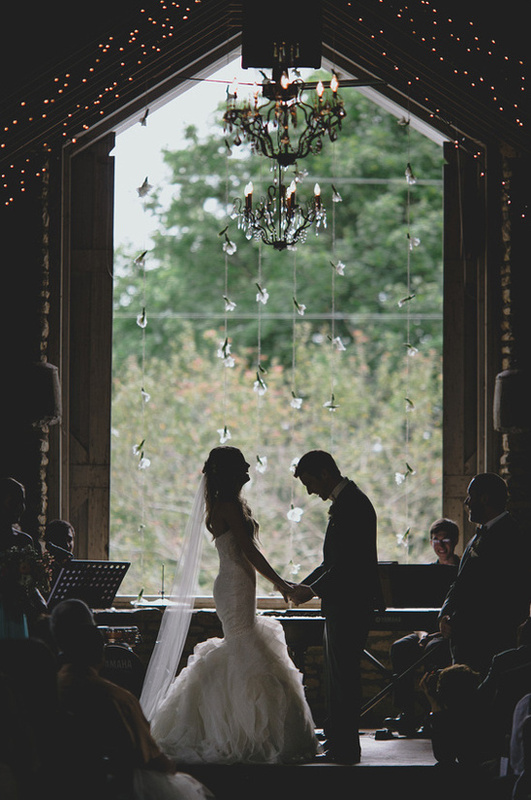 As a bride, the wedding day is planned to the minute with pictures, first dances, etc. 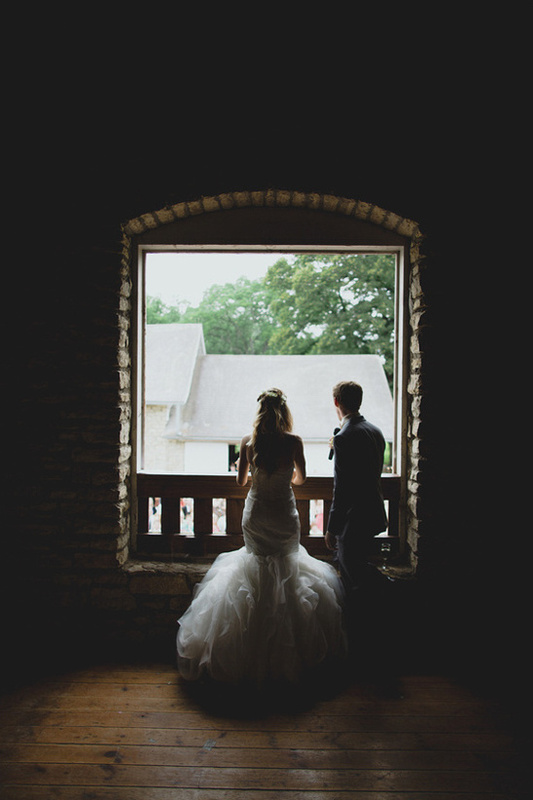 and looking out towards our guests was one of my favorite parts of the day. It gave me time to relax and look out at all of the wonderful people who had came to support Kevin and I. 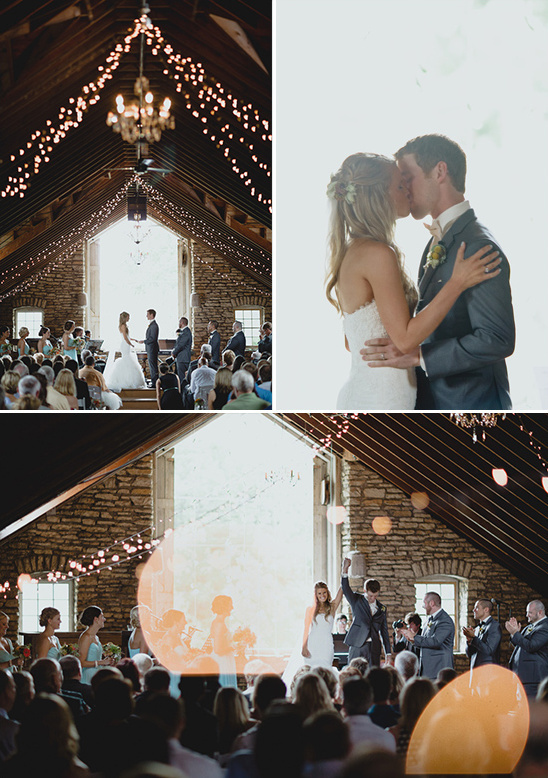 One of the most memorable moments of the day was the lantern lighting. Kevin and I wanted a way to honor our loved ones who had passed, but did not know quite how to do it. 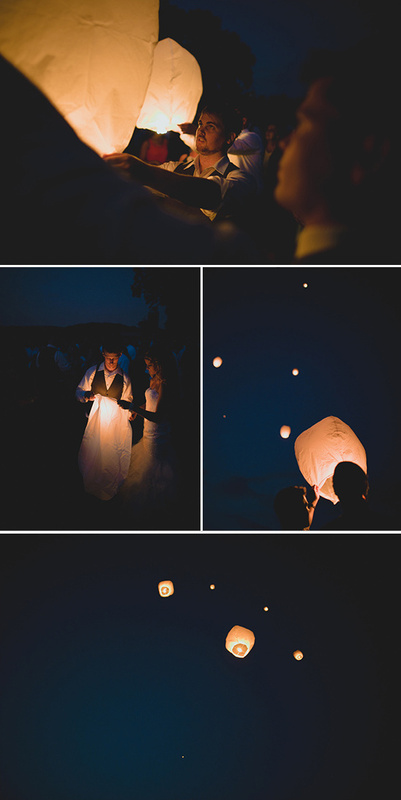 I had seen the Chinese Lanterns on Pinterest, and had brought them up early during planning. When Kevin’s aunt Tammy also saw the lanterns and offered to supply them, I knew that it was the perfect way to pause and remember those that we love who have moved on.